With three podium finishes the PATRIK team celebrated an incredible success at the PWA Wave event in Gran Canaria in Spain. Despite foot injuries Steffi Wahl and Ricardo Campello fought on the third and second places. Steffi won in the small final with distorted tabletops and front loops against Amanda Beenen. “I am totally happy with my second place on the podium at a World Cup. This great start to the season gives me a lot of confidence for the next race in Tenerife, “the PATRIK team rider was pleased with their great performance. It was her best result since 2007 at Windsurf World Cup in Sylt. To reach the final of Pozo PATRIK team rider Ricardo Campello – who had to be sewn with 11 stichen on foot a few days earlier – had to win against favorite Philip Köster. Only in the final heat against Victor Fernandez, Ricardo he was narrowly beaten. Marc Pere completed the success of the PATRIK team through a fabulous victory in the junior rankings. PATRIK BOARDS thanks his team riders and supporters who have made ​​this success possible. 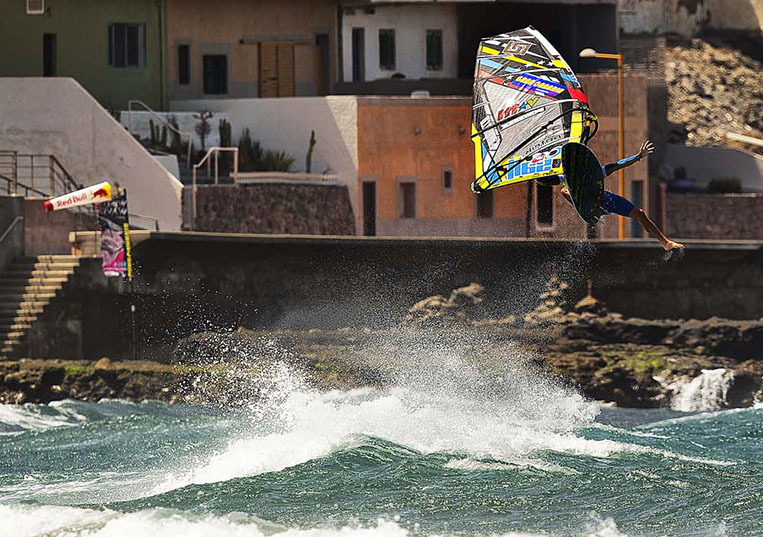 Ricardo Campello finished 3rd Place in the PWA Wave overall ranking. Patrik boards ride the design wave!